March 20 (UPI) — WASHINGTON — The Supreme Court heard oral arguments Wednesday about racial discrimination in jury selection for a case that could reverse a conviction for a Mississippi man on death row. The justices considered whether purposeful racial discrimination played a role in the exclusion of jurors for a murder trial in a Mississippi. The case, Flowers vs. Mississippi, centers on whether the prosecuting attorney intentionally eliminated jurors based on race and, as a result, created an unfair trial for defendant Curtis Flowers, who was eventually convicted and sentenced to death. Wednesday’s oral arguments relied on the 1985 Supreme Court decision in Batson vs. Kentucky, which held excluding jurors based on race violates a person’s Sixth Amendment right to a fair trial and Fourteenth Amendment right to equal protection under the law. “The history of this case is very troubling,” Justice Samuel Alito said. Tried six times for his alleged role in a 1996 murder of four workers at a furniture company in Winona, Miss., Flowers was convicted in 2010 and sentenced to death. He still maintains his innocence. Prosecutor Doug Evans, who is white, has led the case against Flowers, who is black, for all six trials. Evans has been accused of abusing his legal power of peremptory challenge to dismiss black jurors from having a seat in the sixth trial. Flowers’ attorney, Sheri Lynn Johnson, argued that the history of this case has to be reconsidered because the aggressiveness of Evans’ questions toward black jurors indicated racial bias. 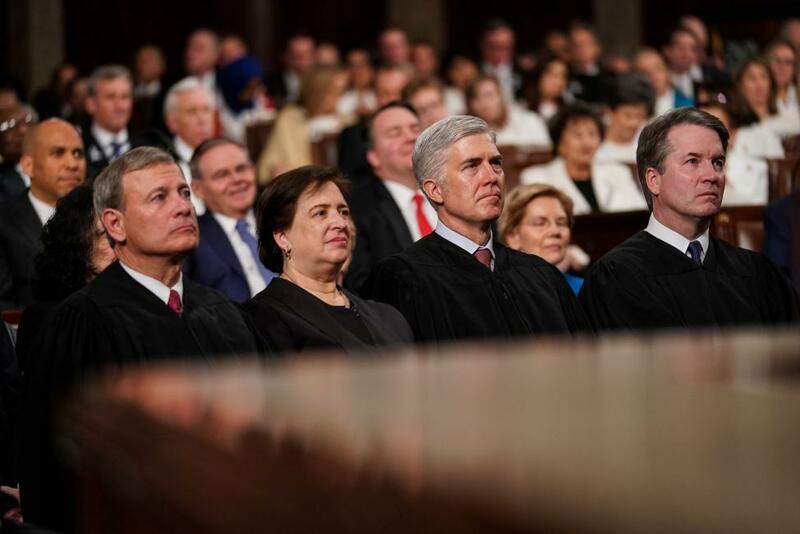 Chief Justice John Roberts noted that the “case is unusual because of the extensive history,” but he questioned whether there was any legal precedent that allows for limitations on considering history.The four left-leaning justices on the court, Elena Kagan, Sonia Sotomayor, Ruth Bader Ginsburg and Stephen Breyer, focused on the distinction between a black and white juror in the case.Evans struck Carolyn Wright, who is black, from the jury because she had been sued by the furniture company and worked with Flowers’ father at the Winona Walmart store. Pamela Chesteen, a white juror, was a bank teller in Winona where the Flowers family were customers. “Isn’t the relationship of a bank teller different than someone who is a coworker?” Ginsburg asked. Sotomayor said she was most interested in the comparison between Wright and Chesteen given their similarities in knowing the defendant’s family. Kagan agreed and also pointed out that “the numbers themselves are staggering” when looking at the difference between the larger amount of questions posed to black jurors than white jurors. This is the second time the Supreme Court has considered the Flowers case. In 2016, the justices granted the petition for a writ of certiorari and rejected the decision of the Mississippi State Supreme Court, ordering the lower court to re-examine the case based on the ruling in Foster vs. Chatman. In Foster, the high court ruled that the defendant met the burden of proof established in Batson vs. Kentucky since there was physical evidence of the prosecutor’s notes about only striking black jurors. Justice Brett Kavanaugh questioned how Batson would be applied given the history of the number of black jurors stricken from the trial court. When the plaintiff’s attorney, Jason Davis, agreed that consideration of history is important to this case, Kavanaugh pointed to a prosecutor’s challenge to a juror’s partiality to the “defendant because of their shared race” as discussed in Batson. In a rare move, Justice Clarence Thomas posed a question to the defense at the end of oral arguments. Thomas asked whether the defense had exercised any peremptory challenges that threw out white jurors in this case. The last time Thomas spoke during oral arguments was in 2016. Even if the Supreme Court ruled in favor of Flowers, the defendant’s conviction would be reversed but he could still face a seventh trial for the murders in Mississippi.